Birthday? Christmas? Name-day? In our humble opinion, any occasion is good to celebrate and donate an object rich in meaning! Please let us help you to choose a Creative-Cables present among our favourite ready-to-use and ready-to-wrap products. 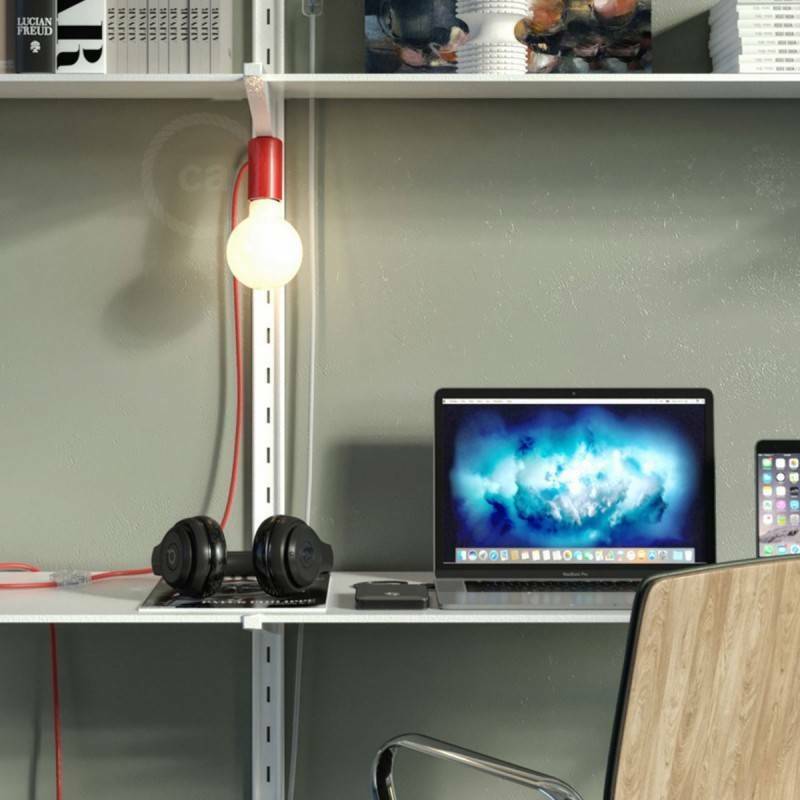 A magnetic lamp holder that can adhere to any metal surface, no matter if vertical or horizontal! 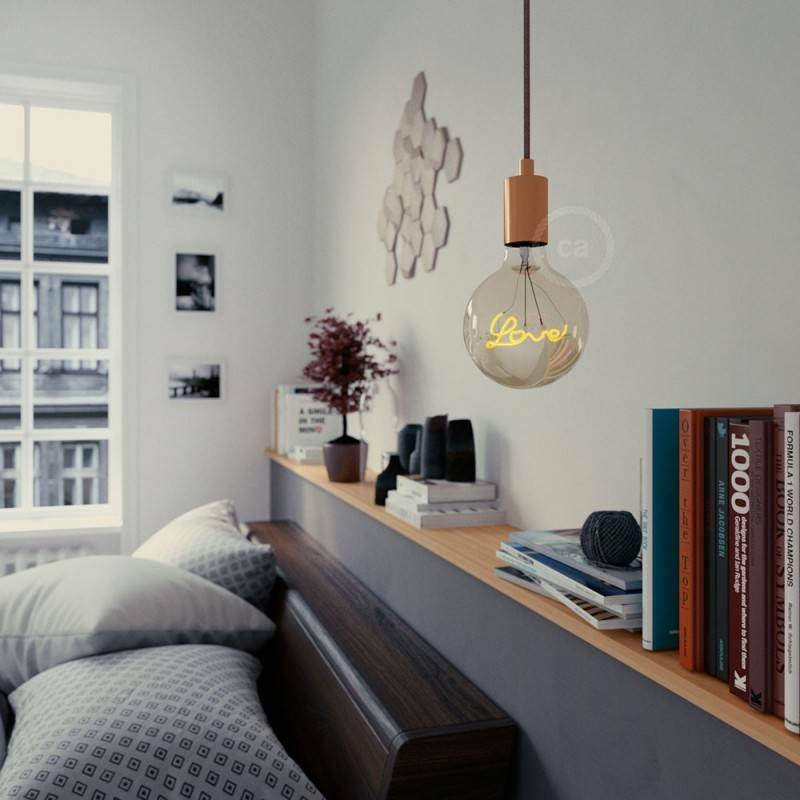 You can move and adjust it according to your needs, turning it into a table or wall lamp in just a few seconds. 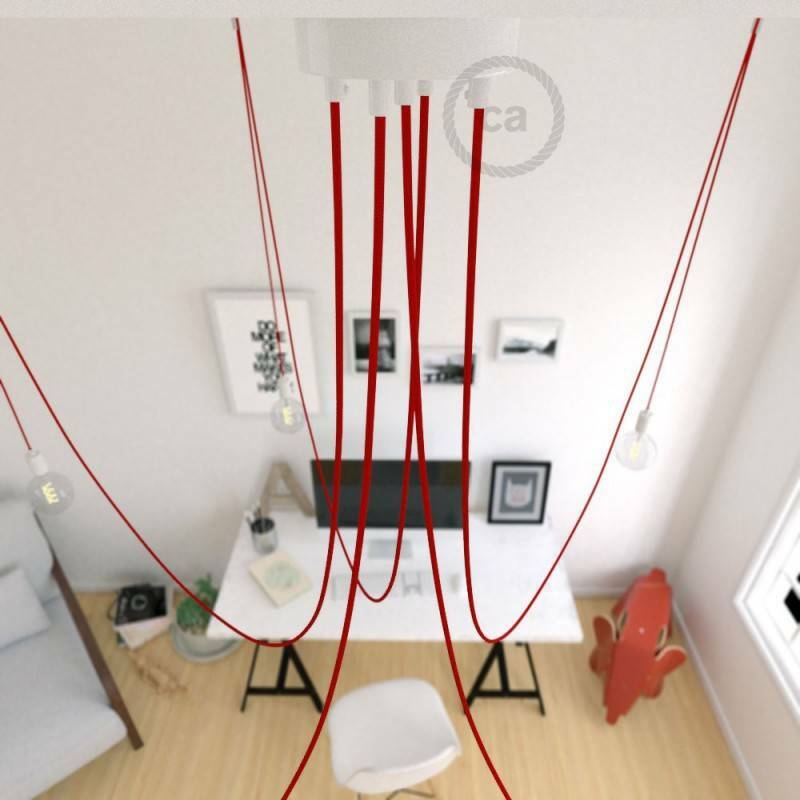 A suspended lamp with a “prominent” cable inspired by nautical ropes. 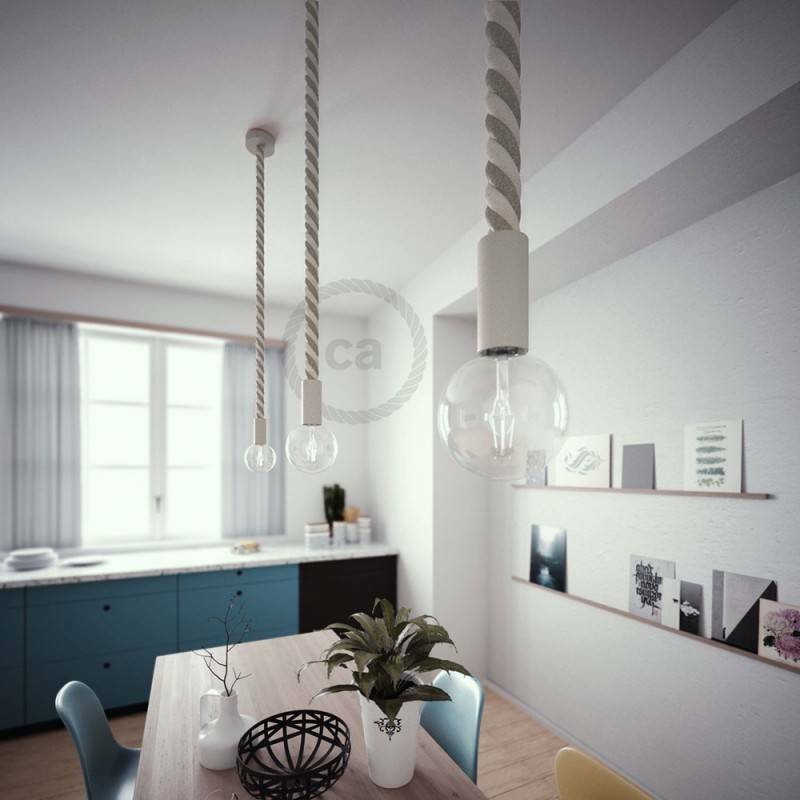 A minimalist but far from a cold solution: ropes and wood can also be implemented in a shabby or country style home! Why have one chandelier when you can have many? Spider is a cascade of coloured cables and light bulbs, ready to uniformly and strategically illuminate any environment. Available with 5, 6 or 7 pendants. 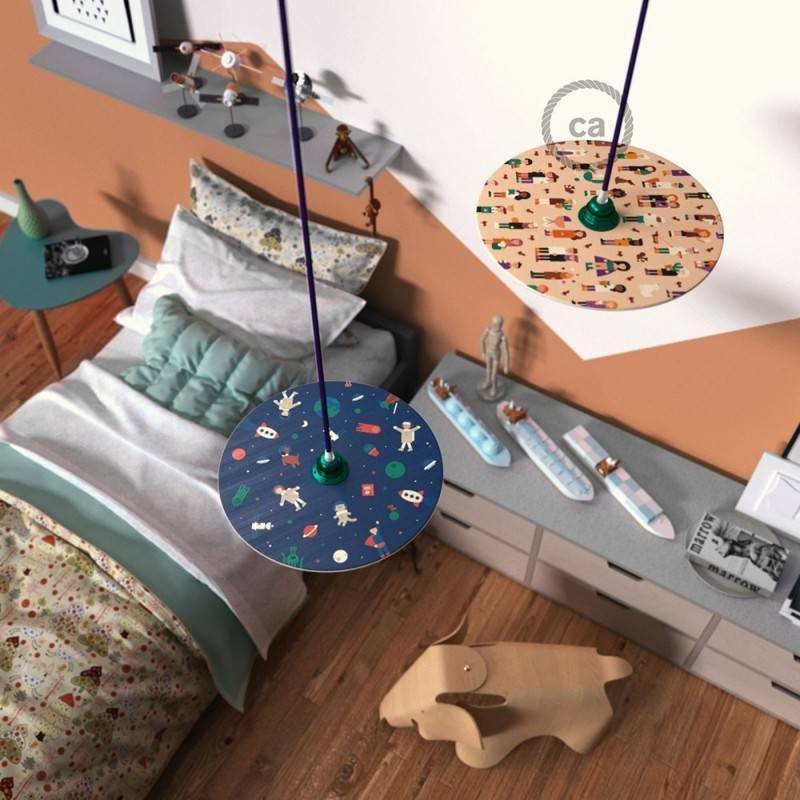 A multi-purpose lamp that can simply be plugged into a socket: you can wrap it around the upright of a bookcase, on the handrail of a ladder, a kitchen rack, or you can hang it using a hook or a decentralizer. A real chandelier, just a little more naked than usual. 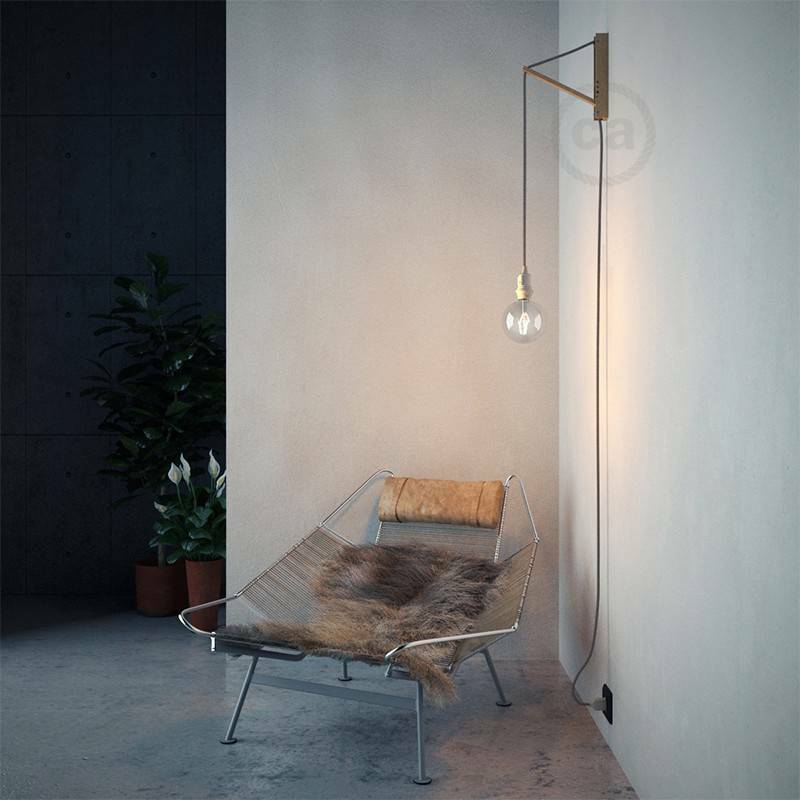 A lampshade that contains all the elegance of the metal wire, the luxuriousness of copper and the notions of solid geometry that we did not learn in high school. 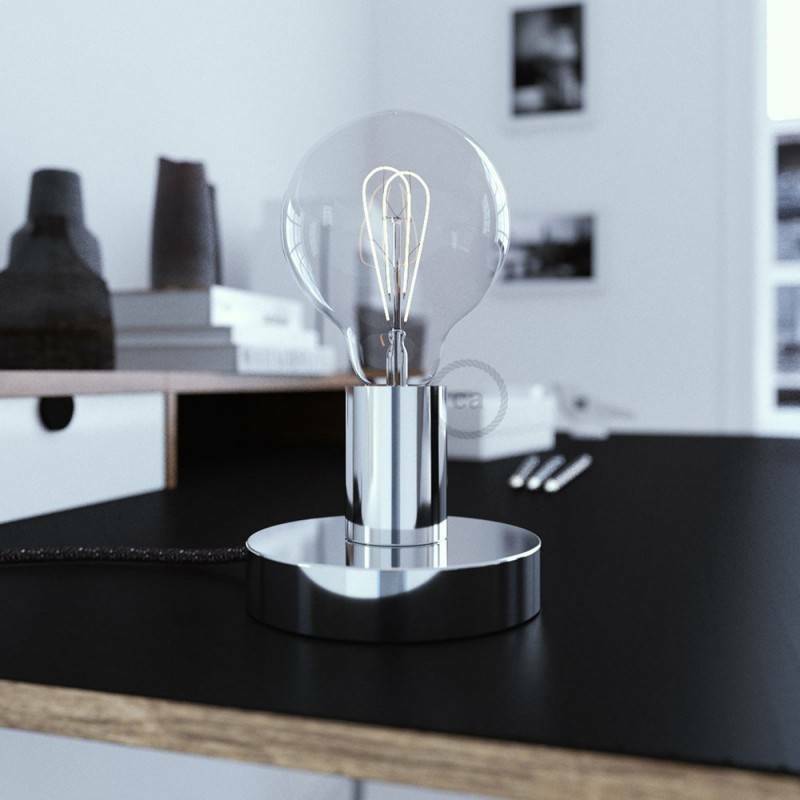 Posaluce is the metal table lamp that gives the actual spotlight to the bulb. 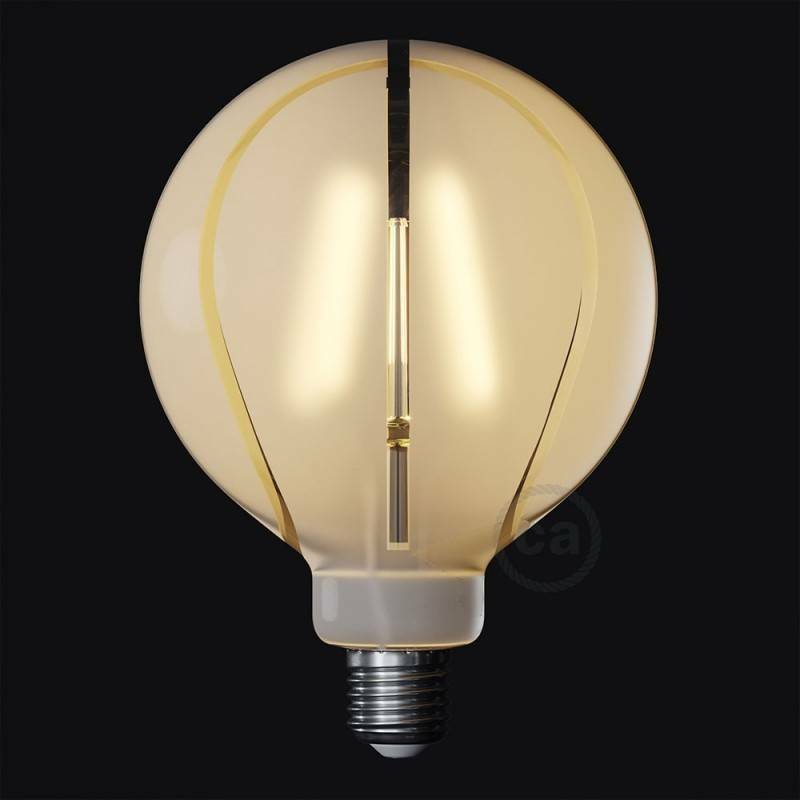 It has an extremely essential design and is perfect as a reading lamp but also as a light point to enhance a table or an entrance. 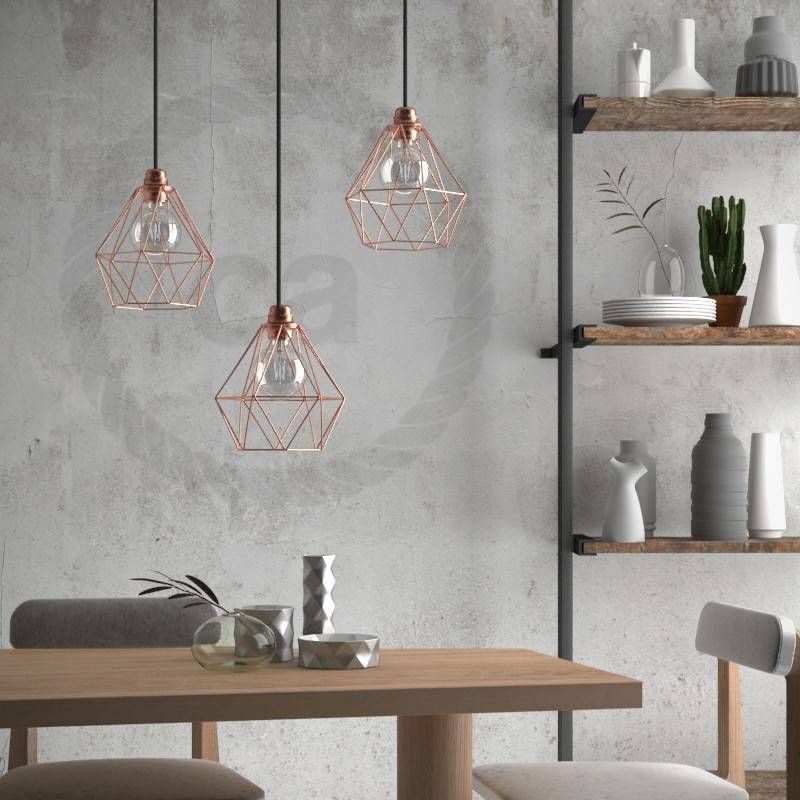 Available in 6 metallic finishes. Light bulbs speak, did you know? You just need an filament bent artisticall. We started with Love, the most enlightening feeling of all. Moreover, what is a gift, if not an act of love for your significant ones? Take a round light bulb, restyle it, treat it to some special beauty treatment et voilà it will turn into a basketball with transparent sewing patterns. Each side of this wooden disc reproduces a work of art by Giulia Zoavo, one of the most promising names in Italian illustration. Her world is populated by superheroes, astronauts, walk-in mothers and barbecue-men. UFO are available in 14 different double-faced versions. 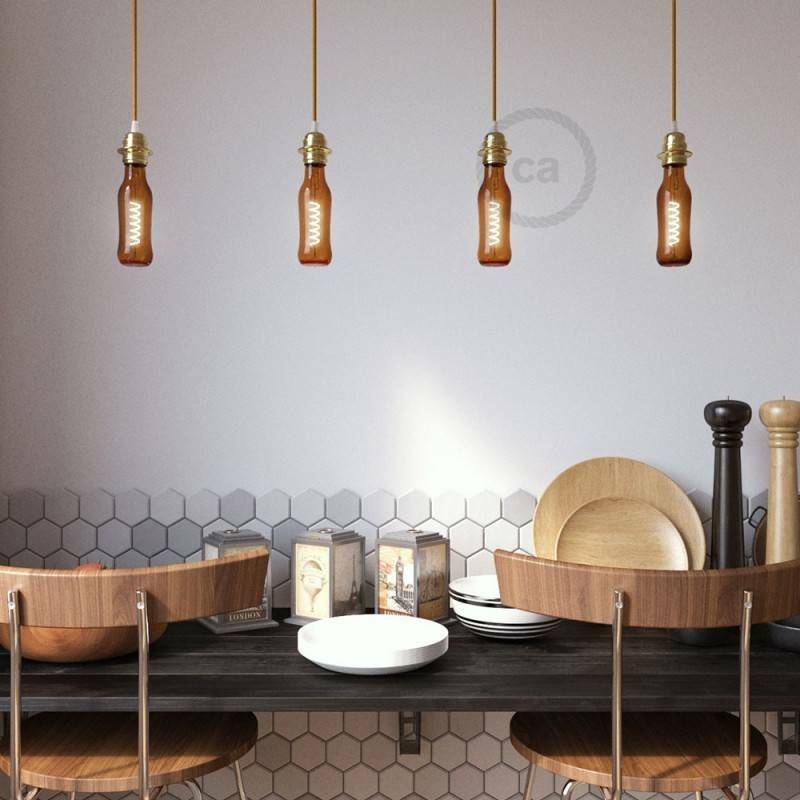 Made by reusing a real 330 ml amber beer bottle, it is perfect for creating installations on the counter of a kitchen. A refreshing example of upcycle-design, in a prestigious gift box ready-to-wrap. Available in 4 shapes and colours.